The architecture of the Minnesota Vikings Stadium: take it or leave it? 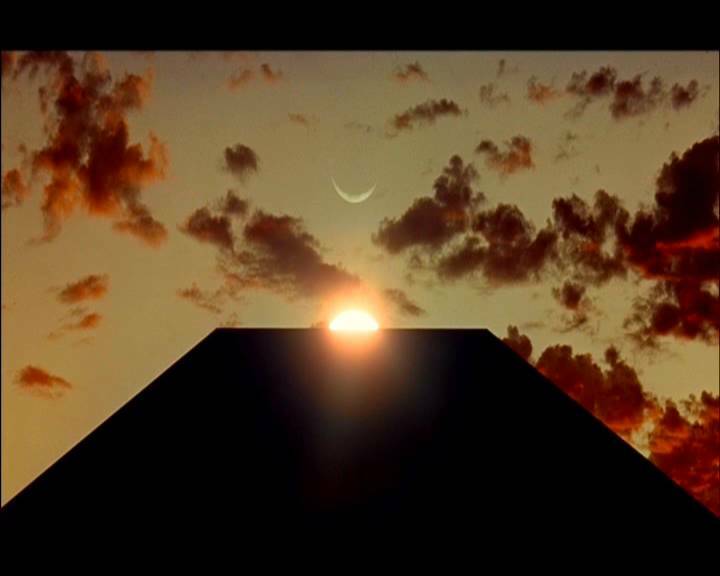 Personally, I think it looks like a cross between a laser jet printer, a drunk Frank Gehry and something out of 2001: A Space Odyssey. This is not a compliment. However, be this as it may, preference on architectural styling, no one should be surprised as this is the usual forgettable stuff that post-modernist firms like HKS Architects have been creating for quite some time. I’ve been a critic of professional sports financing for a long time and will continue to be; but now that it’s a reality that the Vikings will get a new home, I’d like to see it be as good as possible. That means we need a combination of respectful architecture and urban design. This proposal fails on both fronts. 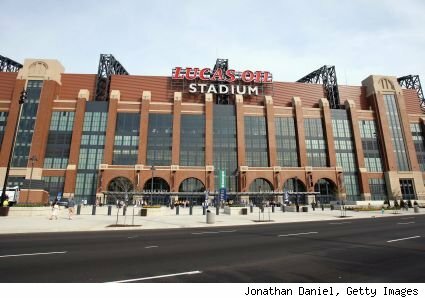 For all it’s faults, the City of Indianapolis built Lucas Oil Stadium. It’s a large, expensive taxpayer subsidizes stadium, but it does pay homage to classical architecture. It doesn’t always have the best street frontage, but it still pretends the pedestrian exists. Going into tonight, I had my fingers crossed that we’d get something similar to Indianapolis. The architecture and urban design of the new Vikings stadium are bad, at best. I’ll ignore architecture here. The urban design isn’t shaping out to be an improvement over the current footprint of the Metrodome. Urban design is very important, and for this reason, I ask the City of Minneapolis Council to consider that upon their approval of the site plan. Along the plaza, facing the current Metrodome light rail station, a large plaza opens up to large glass walls. This will likely be an impressive sight from inside the new stadium, but it won’t do much for pedestrian activity or promoting a lively streetscape during non-game days. The plaza needs more activity. It’s a large building that adds a small park to the Metrodome’s existing footprint. We need more. But, what’s a green space with an active surrounding? The park like space will likely be empty without adjacent buildings nearby to add activity. There are no new improved transportation connections between the Downtown East neighborhood and the rest of downtown or the River. It’s basically a new, modern rendition of the Metrodome: an over-sized, unquestionably ugly spaceship that adds nothing to the built environment. The large plaza will be lively during the football season, but will likely be a wind-swept space during regular 9 to 5 Monday-Saturday. It’s a large, nondescript plaza that pays homage to the stadiums large set of windows, and not to the surrounding environment. This will arguably be the worst part of the stadium. It’s a large, multistory blank wall. No activity here except a parking lot and some emergency exit doors. It’s blank, dark and ignores the urban environment. This is unacceptable – a 5 to 6 story blank wall? No windows. A few doors. Lots of emptiness. There really isn’t much here that will act as an improvement in the urban design department, and it is hard to see how a building like this will promote additional development. Who would want to live by a monolithic, mega church of a building that only occasionally pays homage to the cultural Gods of Football. It’ll be empty 95% of the time and chaotic the other 5%. Now, with e-pulltabs being as they are, all we need to do now is find a way to pay for itself (and, if you don’t care for it, well – if history repeats itself, it’ll likely be torn down in about 20 years). If it stays as it is, yes, it will need improvement. However, this was essentially a preliminary rendering irrespective of the greenery, integration, etc. still to come. The sky won’t fall, just take a deep breath. Yeah I wouldn’t read too much into the site plan; the plaza and surrounding land use will probably get fleshed out later. BUT, *what if* I told you that this was not a football stadium, and it was in fact a combination experimental dance studio/contemporary sculpture museum, and it was designed by some high-fulutin European architect that has previously won “awards” for their work? Now what do we think? Agreed. If this was anything other than professional sports, there would be an uproar. Hopefully a lot will be flushed out (especially around the urban design) to avoid a Metrodome 2.0. It’s a shame we can’t just wrap the stadium with mixed use street-facing development like we now do with parking ramps in the Mill District. I realize it would not be “architectural” and look good from blimp/helicopter shots on MNF, but it sure would improve the north and south sides of the stadium and how they address the Mill District and Elliot Park neighborhoods. My other gripe is that it looks like there’s right-in/right-out vehicular access for the stadium off of 4th St near where it goes under 11th Ave S (the trench). Why entrench ourselves with the trench? Good points Matt, and I agree in theory. However, surrounding a stadium with mixed use (especially residential) wouldn’t work. The reason is because people don’t like living near a stadium (with few exceptions). It’s crazy 10 days a year – and a silent island of nothingness the other 355 days. I do agree that something needs to happen at street level to interact with the (future) surroundings. I love the design. I was hoping for modern and they delivered. I suppose if one is fundamentally opposed to building the new Vikings stadium it would be difficult to appreciate it on any level. But it is going to be a great resource for the entire state to use for dozens of activities. Nate stated he is opposed to publicly financed stadiums, but was also interested and hopeful that it could be an asset to the neighborhood (as much as a stadium can be) rather than detracting from it. I think it’s fair for us citizens to demand that for the ~$500M we’re investing we get something that won’t cause harm to the developments going on in DTE and Elliot Park. I too want the stadium to be an asset to the neighborhood. We just have differing opinions. Maybe you could address a different opinion without mockery? I apologize, the reference to Arrested Development was too good to pass up. Yes, I agree there will be a lot of great use in this facility that the general public will appreciate very much. I personally think we were on the short end of the stick when weighing the benefits of those uses vs what we paid, especially given the fact that there is an existing structure there already (and the money we paid could have easily kept the Dome running all year without the Vikings’ support, and we’d still have a lot left over). However, that debate is long gone and now the only thing we can do as active citizens is push for the best we can get out of our $500 million with regard to space, configuration, street frontage, and design. I think they pass the first 2, miserably fail the third, and get a C- (personal preference) on the fourth. I have a right to want better and so I exercised it by sending comments. I’m a little late on this reply Rex, but would do you think the stadium could do to be an asset to the neighborhood? I would hope they would shift the footprint closer to 6th St so that 4th St can be returned closer to or on its original alignment. There are about a zillion city policies for repairing the street grid, should they choose to follow them. Agreed – repairing the street grid is critical. I’d also be opening to seeing a stadium with some gradual height setbacks- something that could transition into the neighborhoods and something that would make the street frontage more comfortable. Unfortunately, it looks like we’re getting Metrodome 2.0. I doubt any design would alleviate the anti-urban nature of football stadiums. I happened to be living in NYC studying architecture and planning when the idea was thrown out to build the NY Jets a 2 billion dollar palace in Mid-Town West ( near Madison Square Garden and Penn Station). This fantasy lasted about two months until there were literally no defenders left for a Manhattan football stadium. Why? It would’ve been a terrible land-use decision- studies confirmed it would lower the tax base of the area and create an absolute barrier in the urban fabric. Now Dwtn East is no Mid-Town, not from an economic perspective or from a urban context perspective, but the fact will remain the same- football stadiums are out-scaled, anti-urban mega-structures. Why it was SO important for the mpls booster’s to have to keep the football team in dwtn is beyond me. We have 30 years of evidence as to what effect this stadium will have on the neighborhood, those espousing the “connectivity” that will come from better design are searching for something that can’t happen. Scale and site are the two principle elements with regards to “connectivity”, the Vikings wouldn’t have been interested in a 30,000 seat stadium, and the visionaries in mpls (Star Tribune Editorial Board/Really rich people from Lake Mtka) wouldn’t consider another site. I believe the best decision for the whole stadium issue would’ve been to build this thing in the “Burbs (Arden Hills #1 Superfund site in MN would’ve at least remedied polluted land within the 494/694 loop- while allowing the “gameday expirience” football fans love) and for mpls to have leveraged the transit in that area to build actuall city stuff, i.e. offices, apt towers, etc. But that didn’t happen- so we’re left with a palace that will aspire to two main goals- 60,000+ people 15-20 times a year (with the vast majority arriving in automobiles) and the tension that will arise between two contradictory elements the “gameday expirience” vs viability of the neighborhood around the thing. Oh well, what’s a billion dollar mistake anyhow, and I live in Ramsey county so I won’t have to pay for it (Gov Dayton better be real careful in what the “new” funding sources are- this is a mpls economic dev subsidy and those across the river should pay for it through taxes or excessive pull-tabbing), or ever need to navigate around it. I think it can be done, it’s just what we’re willing to demand for our money and how serious we are about not allowing surface parking and giant empty plazas directly adjacent to the stadium. (As a side note, I don’t think the greenery/plaza spaces will be much more defined, perhaps some decorative concrete and a few planters but reality is they’ll want open space for plaza parties/games and TV media vistas on gamedays so they won’t invest anything to make those places truly usable to the general public). Matt has a good point above – why can’t ONE of the long blank walls be wrapped in other uses, at least at the street level? Shift the stadium closer to 6th and line it with bars and restaurants. Use the space up against 4th to reconnect the grid, and the remaining space where 4th was (which would be plentiful) turn in to real, usable public spaces. Small athletic fields, basketball or tennis courts, whatever. Other than the riverfront and Gold Medal Park, DTE is lacking in these smaller types of parks that provide shade, quiet, and a few amenities. We can demand better, and little things like this are the difference between the new stadium keeping the area as it has been for 30 years and allowing the development going on naturally to continue. It’s always going to be hard for a stadium to blend into a neighborhood. Always going to be out of character, unless you have a complex of sports stadiums and the only place I’ve seen that done well is Melbourne, Australia where the complex sits in a big park with multiple rail lines providing good access. European and Australian cities have done a better job of urban stadiums, and there are basically two models of incorporating them into a city in a good way. 1) Put them in a park a little way from downtown (e.g; Adelaide Oval in Australia, see below), or 2) Put them in a more urban setting, but let (encourage) other uses come right up to the stadium. Since, we haven’t gone for the near-downtown park option (there isn’t one available), the land use around the stadium is critical. If all those carparks in the current renderings had mixed use or residential buildings it would be fine. Perhaps more likely to get commercial round the stadium, but really, a little disruption 10 weekends a year, I’m sure that would be priced into slightly lower rents if apartments were built in the area. This is an area right beside a light rail junction, a few noisy fans should not be a total disincentive to other uses. People still live and work right near Wrigley Field. Look at the photos below of how close they are building housing to a 50,000 seat stadium in London. The proximity is part of the attraction! If you’re really a Vikings fan, why not live right beside it, and not have to drive to the game?! Alex, I commend your optimism regarding what could become of the public spaces around the new stadium. However I disagree. There are football stadiums that do have interesting public/gathering spaces in the US- but they are built in Suburban settings. Fact is there was a once in a lifetime opportunity to develop dwtn East, but Mpls wanted the stadium there instead. You just cannot design your way into a harmonious relationship between a city and a football stadium. The issue with the walls is their sheer scale- I mean look at the people in the renderings- tiny, insignificant ants really. I say build it for the TV pan away shot, because that’s what a football stadium is for- not neighborhood revitalization. Oh and regarding money for this thing, Governor Dayton stated the the state was going to cap their contribution at 300 million when he crushed the Arden Hills location. I for one fully expect that to be the case, anything more should come from the city that benefits from it. I do love how Ryback slyly positions this as a statewide asset when trying to get more money from the state- because he certainly seemed to think it was a mpls asset when they were looking for a site. But back to the point, maybe i’ll be proven wrong regarding the way this thing interacts with the rest of the neighborhood, but I think urbanists should put their focus on the places around the cities that haven’t been over-run by gigantic palace’s- the time to develop this part of dwtn into anything resembling good urbanism was when the OPPORTUNITY existed to have no stadium there- but that “viking ship” dropped it’s giant futuristic anchor there instead. Minneapolis is contributing $150 million to this project, or roughly 15% of the total cost. As a matter of return on investment, property tax increases directly related to the new stadium and sales tax revenue from visits that would not have occurred without it will not likely pay back this investment. I’m torn on the location – Minneapolis puts it closer to the bulk of the metro population (who live more south and west than north in AH). It puts it near the ever-growing network of transit options, and right in the middle of a great biking city. For alternate events it’s near existing infrastructure like hotels, bars, etc and won’t spur more sprawl to support it if it were in a greenfield site. However, yes, a football stadium cannot ever be the pinnacle of urban design owing largely to its sheer scale. With that said, large buildings like the Empire State Building manage to engage the street extremely well despite being over 1,000 feet tall. Yes, people are insignificant specs standing next to it. So make the face against the sidewalk (what really matters) the ant’s scale. Honestly, having some showpiece for TV games 8 times a year is not the problem of the people who are paying nearly $500m + interest for this thing (assuming that slight modifications to engage the street better would even make it less impressive from TV anyway). Baseball stadiums meet their neighborhoods well and are surrounded by great urbanism. A football stadium need not be any different. You kind of miss the point here, Nathaniel. You ignore the building architecture and all that was released yesterday was the building architecture. While a top-notch local landscape firm (Oslund) has been hired, there is no landscape design developed or yet presented. Fitting a stadium into any part of a built urban environment is challenging, but the location and budget have already been set by the Legislature and this is what we have. Given that, I think HKS architects scored a home run with this design. The design is inspired, Minneapolis modern, and minimizes (though unfortunatley doesn’t eliminate) giant walls. It is about the best you can do with a giant stadium in this location. Jeremy, I think the issue isn’t only the landscape architecture, but also the building architecture. Are you saying that the exterior faces of the building will still be spaces that can be activated with uses? Because a blank wall isn’t inspired, home run design. It’s a big blank wall, and will maintain a dead Downtown East, preventing any reason to develop faster than anything else that could have gone in that space. You raise a very good point, and I believe there is merit in withholding criticism until the Oslund plan is completed. The devil is in the details, and I sincerely hope the Oslund team holds the priorities of the city’s residents and visitors above those of the Vikings when designing the space around the stadium. The Vikings chose to be in the city – the should accept this reality and fit in to the urban fabric as well as possible. To use some tortured metaphors, the Oslund design must be a touchdown – a field goal will not suffice in this situation, much less a three-and-out. Here’s another one. Adrian Peterson and the ground game can only do so much to carry the offense. That must be balanced by Ponder and the receivers providing support through the air. In other words, Oslund (the ground game) can only do so much if the stadium design itself (the passing game) is inept. Blank walls are generally discouraged by many current zoning codes, and for good reason. Sam’s post in March did a good job covering how Minneapolis’ approach could be strengthened https://streets.mn/2013/03/13/a-failure-of-frontage. The current design would not meet today’s Minneapolis zoning standards – “Blank, uninterrupted walls that do not include windows, entries, recesses or projections, or other architectural elements, shall not exceed twenty-five (25) feet in length” – without the addition of a lot of emergency exit doors. Yet that would not necessarily fulfill the intent of the code. I also believe this isn’t an us-versus-them scenario, where the needs of Vikings fans are opposed to those of area workers and residents the other 350-odd days of the year. We all will use the public space around the stadium. We all would like a pleasant setting, with good pedestrian connections to, from and around the stadium and throughout the neighborhood. Football fans attending Vikings games should expect urban beauty just like anyone else. The mayor (of Charleston – Joe Riley) likes to say nothing should be built that doesn’t add to the beauty of they city. This is a chance for Minneapolis to show the country we are sincere about high-quality urbanity.